Carolyn's second book will be released on 14th October 2018. You can order the original book and the new release (Teenage Years) as a package. 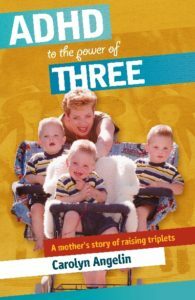 Released in 2010, ADHD To The Power of Three - a Mothers Story of Raising Triplets. Are you battling life with teenagers? Are your children more than a handful? Do you feel the strain of your mental wellbeing taking over your life? vengeance. Along come girls, cars, licences, school, jobs, accidents, drugs, tattoos, ‘holidays’, psych wards and suicide attempts – all before lunchtime! 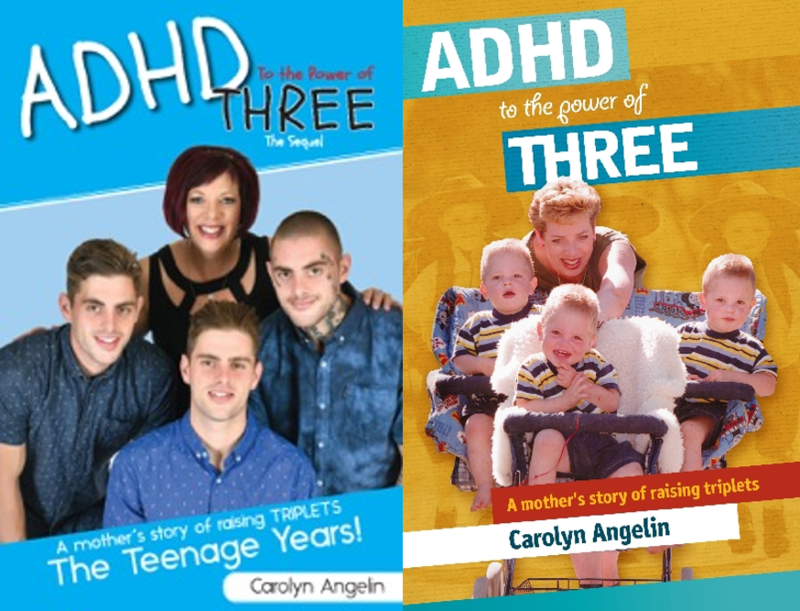 In ADHD to the Power of Three – The Teenage Years, Carolyn demonstrates a dogged determination to never give up. Her commitment to her sons is unquestionable. Her ability to bounce back time and time again and keep her sense of humour is remarkable. 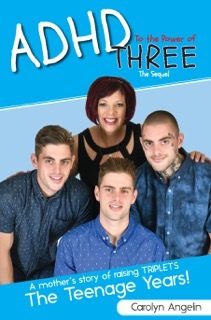 Pre-order you copy of Carolyn's new book ADHD To The Power Of Three - The Teenage Years.